The "Summer Rush" concert and comedy series returns to the Great Lakes Region for another year. Events will be staged at the Seneca Niagara Casino & Hotel in Niagara Falls and Seneca Allegany Casino & Hotel in Salamanca. Seneca Casinos Senior Vice President of Marketing Jim Wise introduced the lineup for the 2013 "Summer Rush" comedy and concert series. "Summer Rush" kicks off with arguably the world's premier blues musician, B.B. 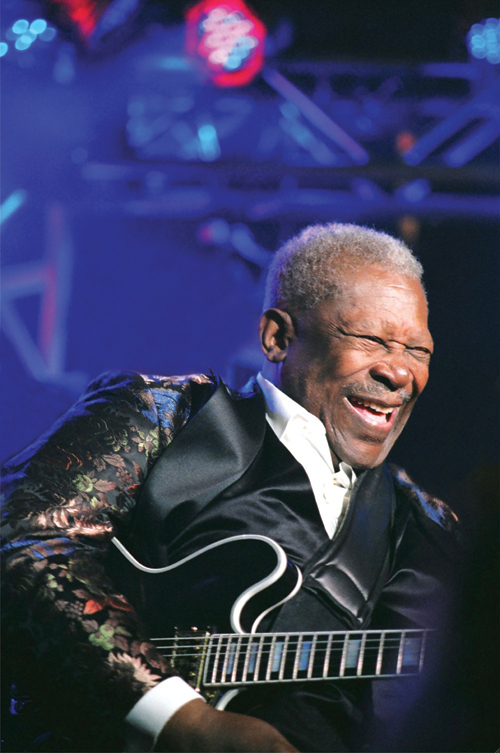 King, at Seneca Allegany Events Center on Saturday, June 8. 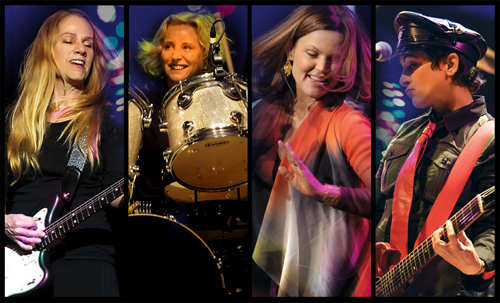 Coming the following weekend on Saturday, June 15, to Seneca Niagara Events Center is 1980s new wave rock band The Go-Go's, whose debut album "Beauty and the Beat" continues to be the only No. 1 album entirely written and performed by an all-female band. The following weekend on Saturday, June 22, comedian Paul Reiser from the TV sitcom "Mad About You" takes the stage at Seneca Allegany for an evening of stand-up comedy. For the final weekend in June, the entertainment returns to Seneca Niagara with one of America's consummate singer-songwriters, Jackson Browne, who will perform with special guest Sara Watkins on Saturday, June 29. Comedy comes to Seneca Niagara on Independence Day weekend, as Drew Carey - famous for his roles in "The Drew Carey Show" and "Whose Line Is It Anyway?" and now host of the long-standing game show "The Price Is Right" - comes to Niagara Falls on Saturday, July 6, for an adults-only show. The laughs continue back at Seneca Allegany on Friday, July 12, when Jeff Dunham, one of the America's most successful comedians, displays his ventriloquism routine with a host of characters as part of his "Disorderly Conduct" tour. Later in the month on Saturday, July 27, one of the most successful country groups of all time, Alabama, comes to Salamanca as part of its "Celebrating 40 Years" tour. "Summer Rush" continues with more ways to make people laugh this August, as former "Saturday Night Live" star and "30 Rock" cast member Tracy Morgan performs on Saturday, Aug. 10. 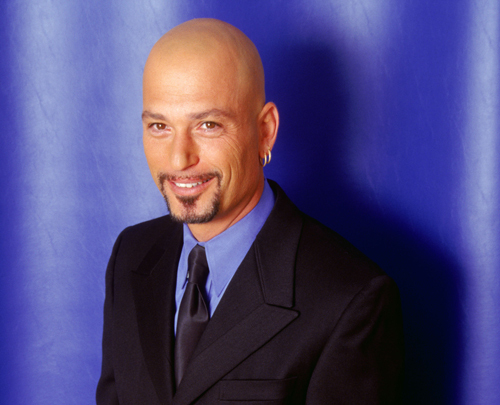 Six days later, more stand-up takes the stage in Salamanca as Howie Mandel, one of the judges on "America's Got Talent," delivers an evening of laughs on Friday, Aug. 16. 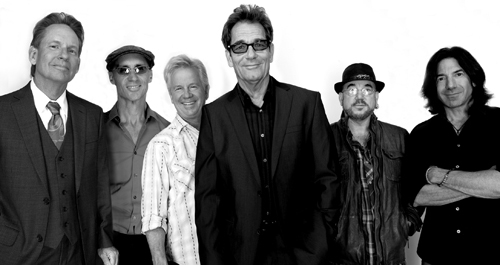 On the last day of the month, Saturday, Aug. 31, 1980s pop-rock will be in full swing inside Seneca Allegany Events Center, as Huey Lewis and the News takes the stage for its "'Sports' 30th Anniversary Tour." Technically, it is still summer in early September - and for that reason, Seneca Casinos will keep the "Summer Rush" entertainment rolling through the first weekend of the month. On Saturday, Sept. 7, comedian Brad Garrett will take the stage at Seneca Niagara Events Center with his trademark low-pitched voice. Garrett is well known for his role as Robert Barone on "Everybody Loves Raymond" and now plays the role of stepfather Max Green on the new TV sitcom "How to Live with Your Parents (For the Rest of Your Life)." Each Events Center location seats up to 2,400 people - with no seat further than 100 feet off the stage - and each has two high-definition, oversized video screens to give everyone the "best seat in the house." But for those who want a more intimate setting for entertainment, the Bear's Den Showroom at Seneca Niagara Casino & Hotel has 440 theater-style seats on three sides of the stage, each with up-close views that are no further away than 40 feet. The lineup is packed for June, featuring Grammy Award-winning jazz musician Marcus Miller on Friday, June 7; blues artist and slide guitar master Sonny Landreth on Saturday, June 8; 1970s heartthrob David Cassidy on Friday, June 21, and; an acoustic finger-picking guitar performance during "An Evening with Leo Kottke" on Saturday, June 22. Additional summer acts confirmed for the Bear's Den include blues artist Tommy Castro on Friday, July 12; The Stick Men featuring Tony Levine, Pat Mastelotto & Markus Reuter on Friday, Aug. 2; and Buckwheat Zydeco on Saturday, Aug. 3. 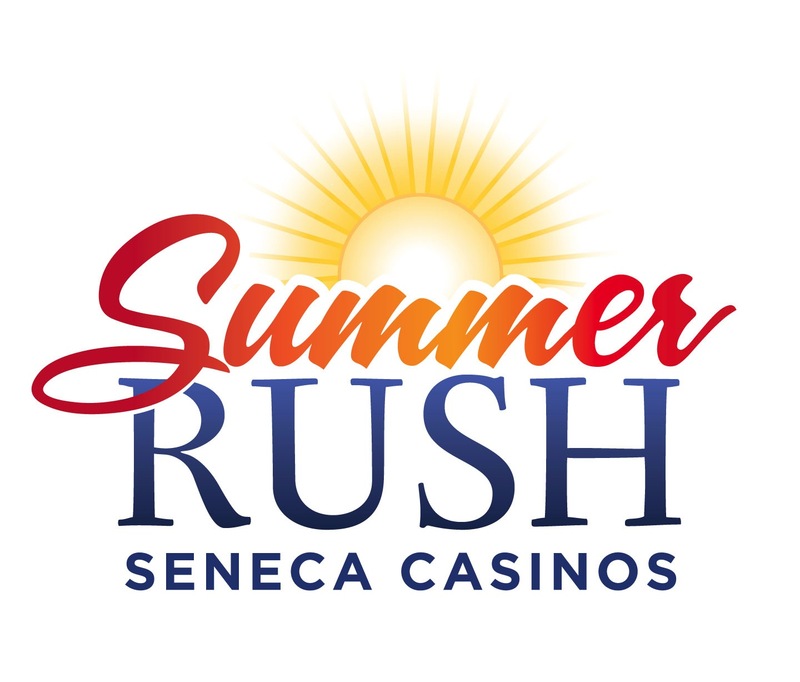 "Summer Rush" at Seneca Casinos also features a number of blockbuster promotions for gaming lovers during the summer months. Guests at Seneca Niagara Casino & Hotel and Seneca Allegany Casino & Hotel will have the chance to win $1 million during the "$1 Million Big Draw" from June 3-28. The popular "Summer Shopping Spree" also returns to Salamanca on June 1-2, as well as to Niagara Falls on June 9. One of the region's most talked-about fireworks displays returns to Salamanca and Niagara Falls for the Independence Day holiday. Fireworks outside Seneca Allegany Events Center take place on Wednesday, July 3, and fireworks outside Seneca Niagara Events Center take place on Friday, July 5. Both start-times are approximately 9:40 p.m., with rain dates scheduled for the following days. The month of July also features a unique tournament throughout all three Seneca casino properties. From July 1-18, guests can participate in the Multimedia Games "TournEvent of Champions Slot Tournament," a national tournament that is taking place throughout the country at only 66 select casinos. For all participants playing at Seneca Casinos throughout July, more than $25,000 in free slot play and cash will be up for grabs. The finals for Seneca Casinos will be on July 19-20 at Seneca Niagara Casino & Hotel, and the grand prizewinner will receive a trip for two to Las Vegas in September to play in the national event for a chance to win $100,000. The prize also includes airfare, hotel accommodations and $5,000 spending cash. In August, Seneca Niagara and Seneca Allegany will each feature a promotion called "$70,000 Hot Summer Nights," and Seneca Allegany also will give away a MacBook Pro computer a day on Mondays through Thursdays from Aug. 5-29. Additional promotions will be available throughout the casinos this summer, particularly around holidays. The excitement of "Summer Rush" also extends to transformations at each of the three casinos. Construction of the $130 million permanent facility at Seneca Buffalo Creek Casino is currently underway, with an opening slated for August. The casino will include more than 800 slot machines, nearly 20 table games and two dining outlets - one of which features favorite selections from well known Buffalo-area restaurants and food vendors. Major news about new summer projects at Seneca Niagara Casino & Hotel will be announced in the coming weeks. And finally, at Seneca Allegany Casino & Hotel, the excitement continues for more guests from far and near with the recently expanded hotel tower - which provides 200 additional rooms with mountain views.